This is Peter Hardy's "Domine", AY 330. 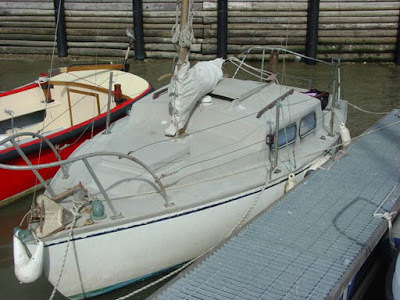 He bought the boat from his brother who had had it for four years but sailed it very little. 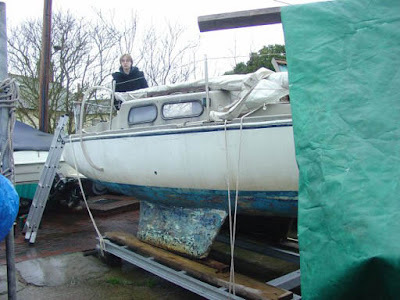 Now Peter, who is a technology teacher, plans to paint the boat and add a wooden fender strip. 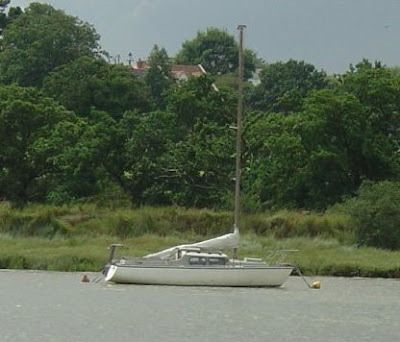 Here the boat is moored at Wivenhoe, Essex. and will be pleased to hear from any Alacrity owners . I have recently bought #330 from Colin as he is retiring from sailing. Colin has done all that he said he would and I am pleased to take her over. 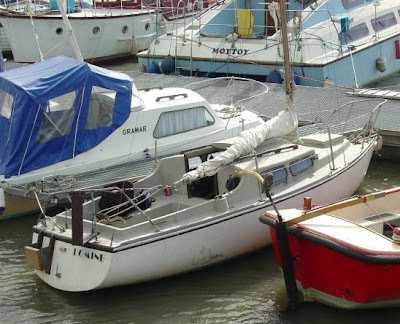 I'm returning to sailing after a 10 year break and the plan is to use her around Wroxham Broard, to teach my children to sail, and the coastal trips. 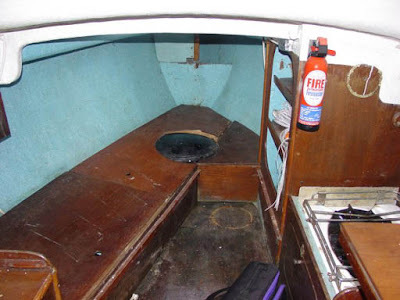 From what I've seen on tinternet, I think I've made afoot choice of boat.